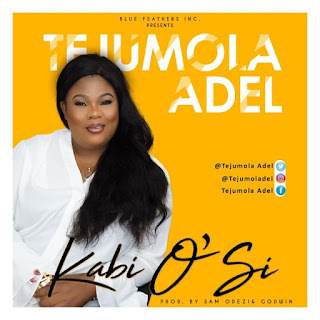 Nigerian-US Gospel music minister Tejumola Adel makes a profound debut with an uplifting sound of praise declared in ‘Ka Bi O si’. Having more to come, the Warri indigene and retired bank manager surface the praise tune, to begin with. Ka Bi O si redones God’s majestic reigns over the affairs of the universe, get it sure and jubilate in the Holy Ghost.